Welcome to the 2017 JettyGirl Swimwear Guide! Like the diverse range of surfboards we now get to surf and enjoy, this year's swim lines are equally varied---with Brazilian-inspired cheeky bikinis, tropical prints, festive Caribbean vibes, daring one-piece creations, innovative wetsuit styles, and cuts that range from barely there to full-on 60+ UPF sun protection. 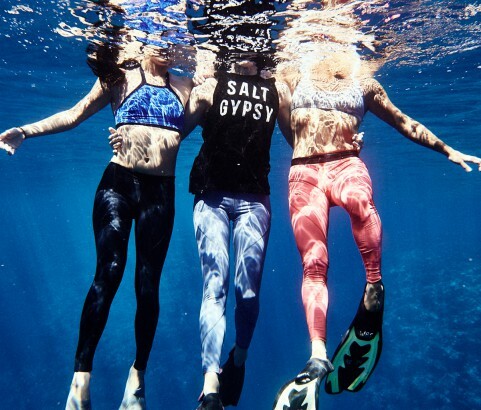 The women designers and business-owners behind these independent swimwear brands below are incredibly dedicated individuals and their love for the planet and our ocean environment is evident in their focus on reef protection, monetary support of environmental organizations, and an increased use of sustainable materials and biodegradable packaging. While you're surfing and sunning at the beach this summer, remember to hashtag #jettygirlswimwearguide and the swimwear brands below. Whether you're heading to a tropical destination or to the beach down the street, we can't wait to hear about the free-spirited surf and travel adventures you'll be taking. Thank you for visiting the 2017 JettyGirl Swimwear Guide. Check back often as the brands below will be adding new styles and imagery throughout the season.